All Things X: Xstatic! 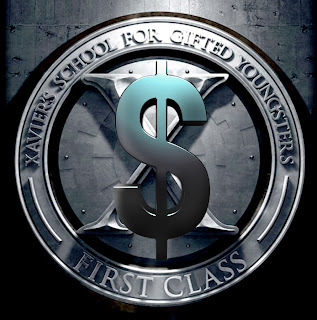 X-Men First Class enjoys a No. 6 spot at the US BO! Xstatic! X-Men First Class enjoys a No. 6 spot at the US BO! It managed this despite the number of theaters screening the movie being reduced by 742! A total of 2,633 cinemas screened the film. And now the total (domestic) gross for XFC is...(drum roll please)...$132,895,408! As of June 27 that number has gone to $133,754,373! To check out how it's faired in the weeks past in the US read these articles now! And just FYI, The Hangover II rests just below XFC at No. 7 with $5,574,179 while Pirates 4 & Kung Fu Panda 2 are at No. 9 ($4,928,925) & No. 10 ($4,173,144) respectively. Overseas, XFC has made $186,658,643 (upto June 27)! So as of June 27 XFC has netted a total gross of $320,413,016!! And with an (effective) budget of $140 mil this is a great profit for the franchise! Here's to more X-sequels!